Katelyn and I went to the beach a few times over the summer. My parents have a house at Bethany Beach, DE, and we would go there during the week while Adam worked. Each time we were there I became obsessed with collecting sea shells for Andrews special place. I suppose it was one way for me have Andrew at the beach with me. When we'd go to collect shells, that was me spending time with both of my children. I now carry a bag of shells in my car. Each visit with Andrew we spend time going through the bag and carefully decide which ones we will leave. Katelyn then carefully goes through the ones that are already there and she picks one or two to take back home with her. I like to think that my kids would share this nicely if Andrew were here. My guess is probably not. Though you do not know me or my family, Ann Marie has shared your loss with the Angelman Family and asked for all of us to pray for God to give you the strength needed to heal from such a tragic loss. No words of comfort can take the place of your precious son Andrew but we can and will certainly be here to lend an ear if and when you feel the need to turn to any one of us. As part of the vast family of angels we tend to be very good at listening and often offer great feedback and support to one another. You being Ann Marie's sister makes you part of us. (If that makes any sense what so ever to you). 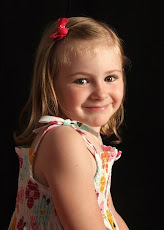 I am nana to a very special little girl, our Miss Emma. She is my sons angel in life and brings us much joy. But as you must know being an aunt to an Angel with this joy comes great worry in regards to their health, safety and well-being. So as you can imagine we have all shared many good times as well as many bad times with one another in the Angelman Family network. Let us grab your hand (virtually) and hold on tight to you. You will have many rough days ahead and there is little we can do to spare you from experiencing them. But what we can and will do is listen when you need a willing ear. We can offer hugs of support from across the world and let you know that it is okay to shed tears, to feel the pain deep within your soul and also let you know each day will be a wee bit easier, I promise. My email is mizdonna@neo.rr.com. If you ever need someone outside your family to air your thoughts with simply email me and I will call. 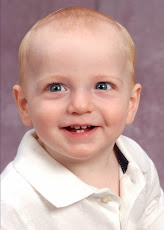 Andrew was and is a perfect little boy from his pictures and he is "your angel" now looking over your precious family. One day you will all be together...but until then live, laugh and love dear. He would want no less for his family. I can assure you he is smiling sitting with God watching over all of us.